The Jökulsárlón Glacial Lagoon, on the edge of the Vatnajökull National Park (Europe’s largest,) is one of the most spectacular sights in Iceland and was a setting for two James Bond films – A View To A Kill and Die Another Day. It can be reached in a long day-trip from Reykjavík, but visiting it as part of a two or three-day excursion allows you to spend more time exploring the dramatic scenery of the south coast en route. After a pick-up from your accommodation in the capital (09:00 – 09:30), you head east along the south coast, stopping first at Seljalandsfoss, which plunges 60m over a cliff into a shallow pool. If you don’t mind getting wet, you can take the trail that goes behind the waterfall. Then it’s on to the village of Vik, with its black sand beach and remarkable basalt columns and sea stacks, en route visiting Skogafoss, considered to be one of Iceland’s most beautiful waterfalls. 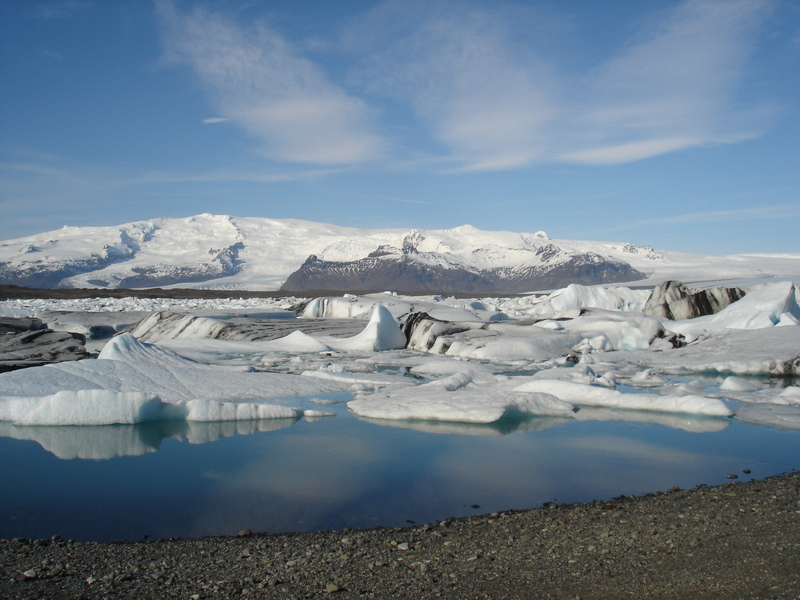 After a short stop in the Skaftafell Nature Reserve, you reach Jökulsárlón with its floating icebergs, calved from the Vatnajokull Glacier. Your overnight stop will be at a country hotel (simple rooms with en suite facilities) nearby. 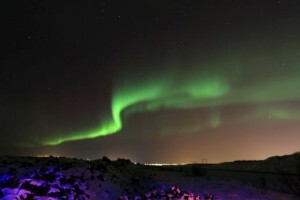 If conditions are favourable, you will be watching for the Northern Lights. After breakfast on Day 2, you can take a walk beside the lagoon – looking out for seals – and on to the black sand beach where icebergs become stranded. 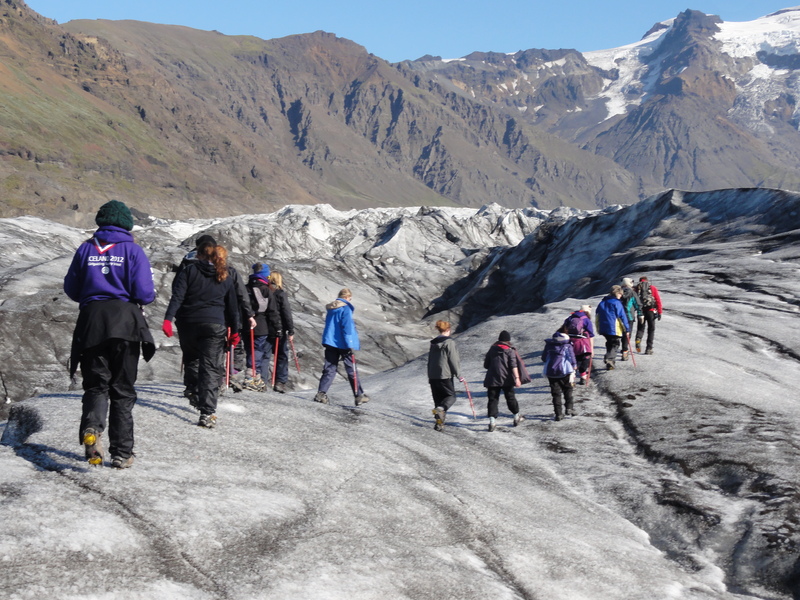 Then it’s time to put on crampons and join your guide for an hour-long glacier hike, enjoying spectacular views as you walk. Glaciers are made, not from frozen water, but from the accumulations of snow which turn into ice as the result of compression over hundreds of years. Please note: you do not need a particularly high level of fitness for this activity but hiking boots are essential, as crampons cannot be fitted to trainers or light walking shoes. After the hike, you head back to Reykjavík and have the choice of being taken directly to your accommodation (arriving between 20:00 and 21:00) or setting out to search for the Northern Lights. This expedition is free-of-charge and includes a stop at a restaurant where you can buy dinner or light refreshments. Afterwards, the drop off at your accommodation is likely to be between 00:00 and 01:00.